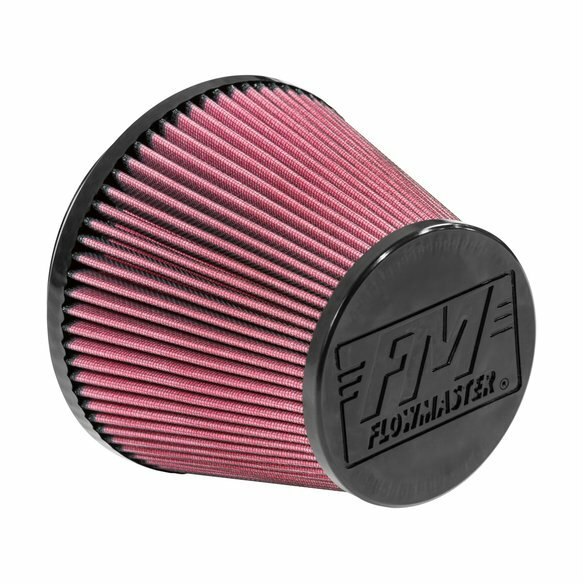 This New Delta Force Air Filter is a Universal-fit High Flow Cone-shaped Performance Air Filter that is a cleanable/reusable 8 layer cotton gauze design capturing more dust and dirt particles than typical 6 layer filters. Features include 0.50 inch deep pleats by 6.60 inch length providing an overall wide surface area for optimum airflow. 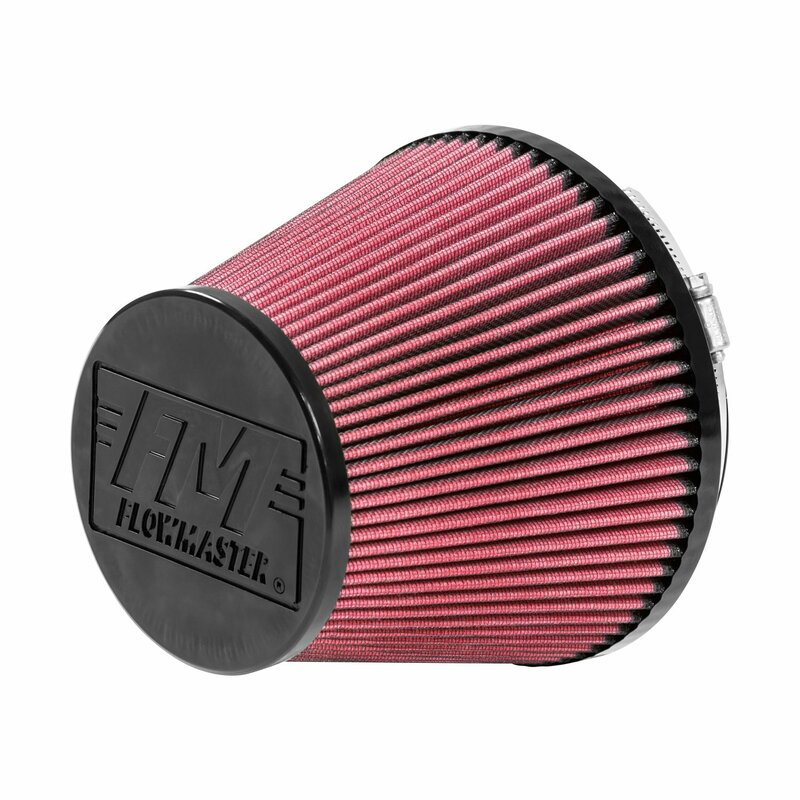 The inlet is a large 6.00 inch opening and the end cap has the Flowmaster logo embossed right into the end showing everyone you appreciate quality and performance. This filter will last a lifetime since its washable/serviceable at regular intervals depending on your driving. 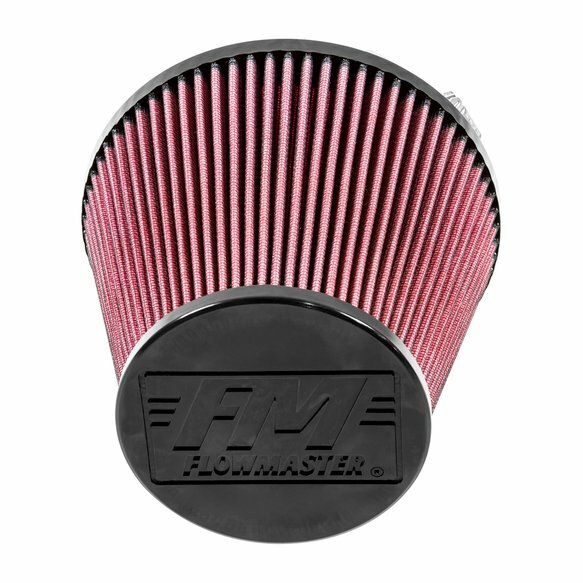 Be sure to pick up a new Delta Force Air Filter Service kit to keep your filter system fresh and breathing strong.